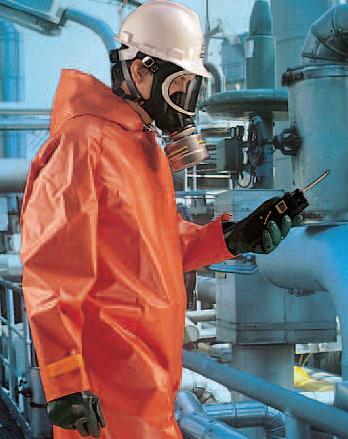 Protection against solid and liquid chemicals. Available in up to 5 sizes. Material: plastic fabric coated on both sides with Neoprene-Plus. Velcro fasteners at sleeves and trouser legs.